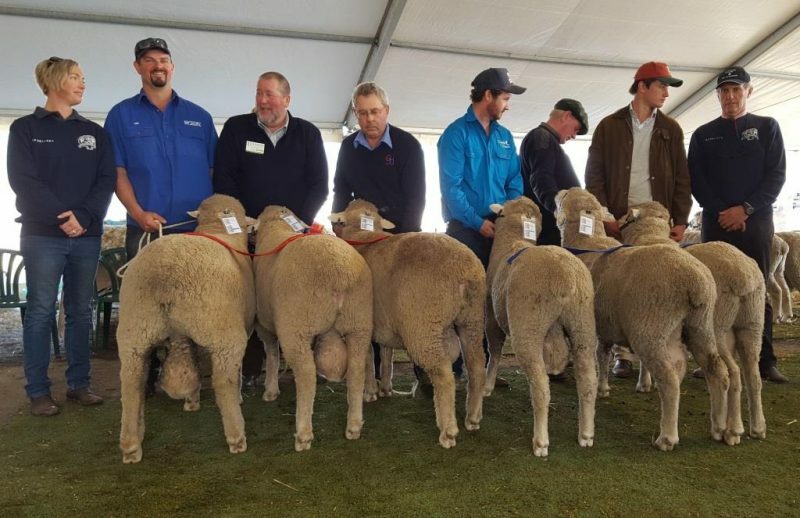 All members are reminded to be fully compliant before their ram sale commence for 2018. 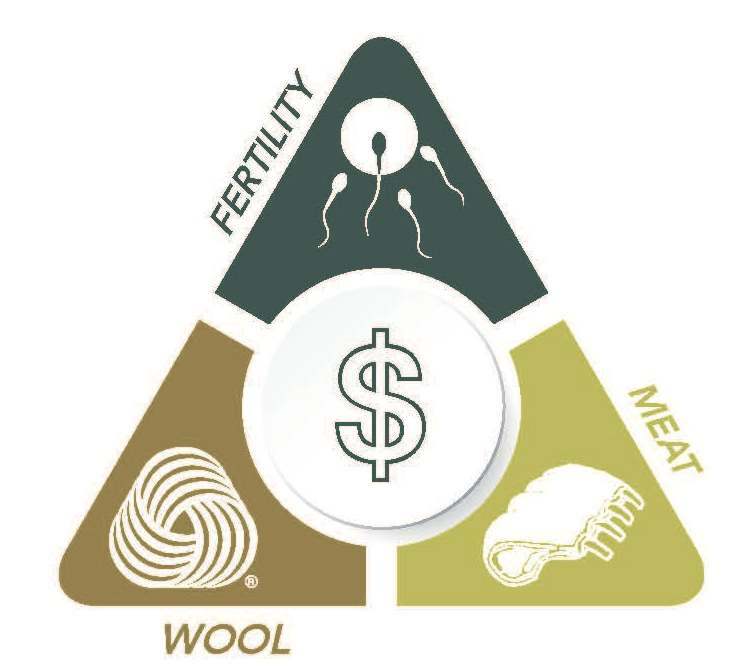 This includes ADBA membership, SG membership, Brucellosis accreditation as well as all outstanding accounts with the ADBA being settled. Council appreciates your compliance to the Association and wishes all members well. 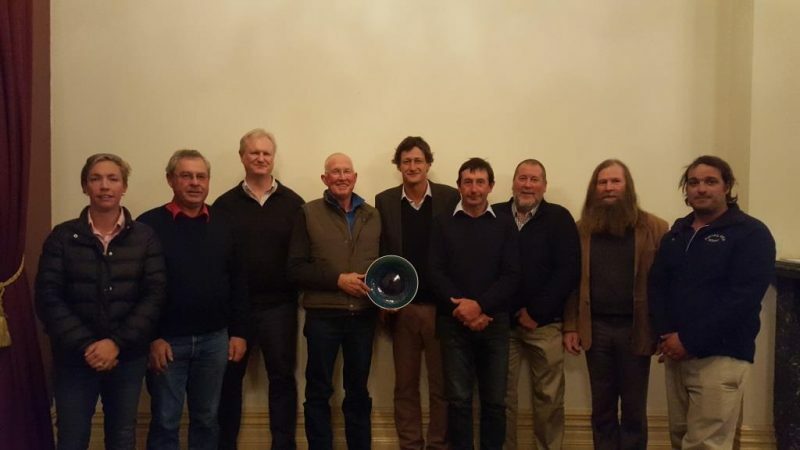 The 2018 AGM was held on Saturday night at Bendigo, Victoria, in conjunction with the Australian Sheep and Wool Show. This event was well supported with 37 attendees from across Australia and New Zealand. A sincere thank you to the retired councillor Allan Casey for all his hard work and welcome to new councillor Don Mills, Kardinia Dohne Stud, New South Wales. 2018 Council; President John Nadin, Vice President Rachel Browne, Councillors Allen Kelly, Rhys Parsons, Greg Hall, Murray Rogerson and Don Mills. Rachel Browne, Allen Kelly, Cameron Hills, Allan Casey, John Nadin, Don Mills, Greg Hall, Murray Rogerson, Rhys Parsons. 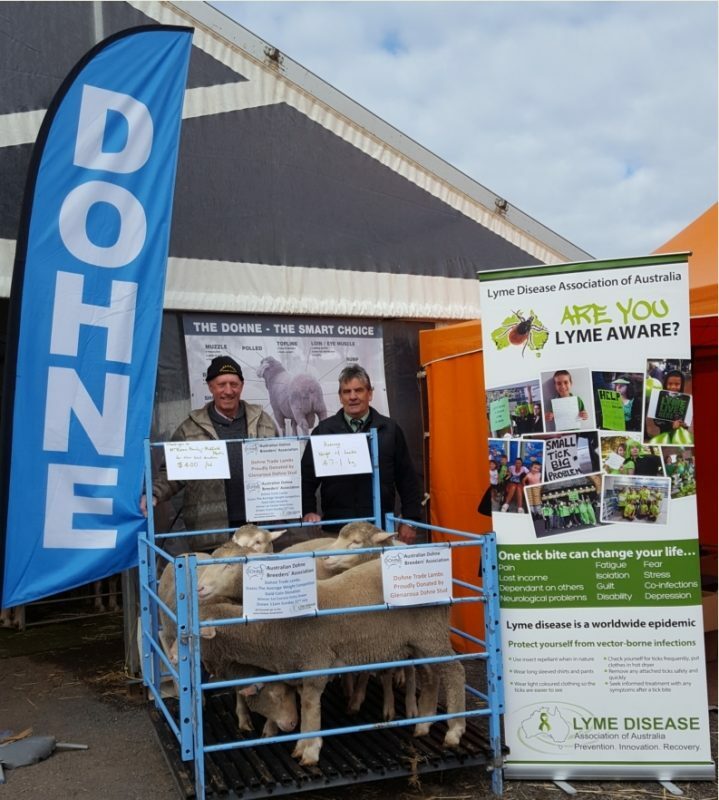 With a new layout to the Dohne Marquee this year, the main focus was on promoting the Dohne breed under the Association banner. This was a huge success with record numbers never seen before coming through the Dohne Marquee over all three days with stages where people had to line up just to get in. Congratulations to the show committee for running such a successful event. A big thank you to our judges, Rachel Browne, Chirniminup Dohne Stud Western Australia and Martin Pattie, Glencairn Stud, New Zealand. 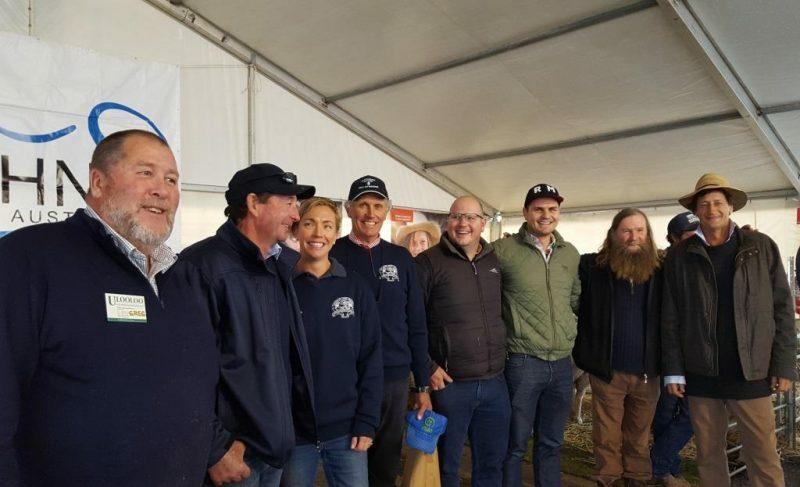 During the event the show committee ran some competitions in the Dohne Marquee, this allowed people to really feel involved in this event and in the Dohne breed. 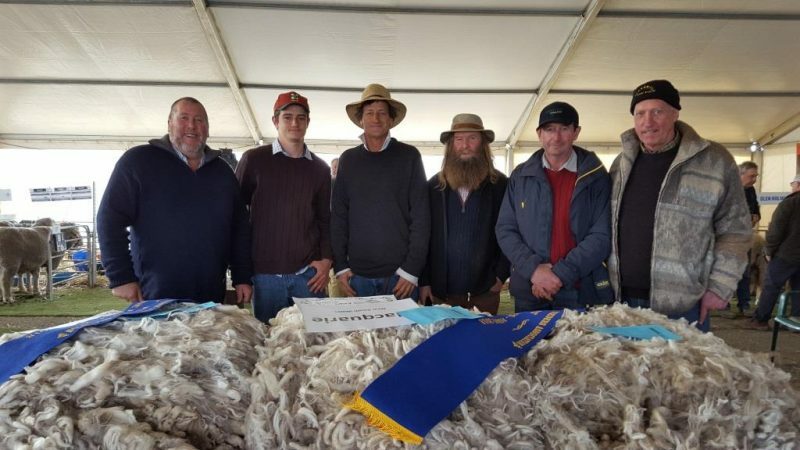 Guess the Skirted Dohne Fleece Weight – (5.4kgs) – Congratulations to winners Edward Southwell and Graham Wilson. 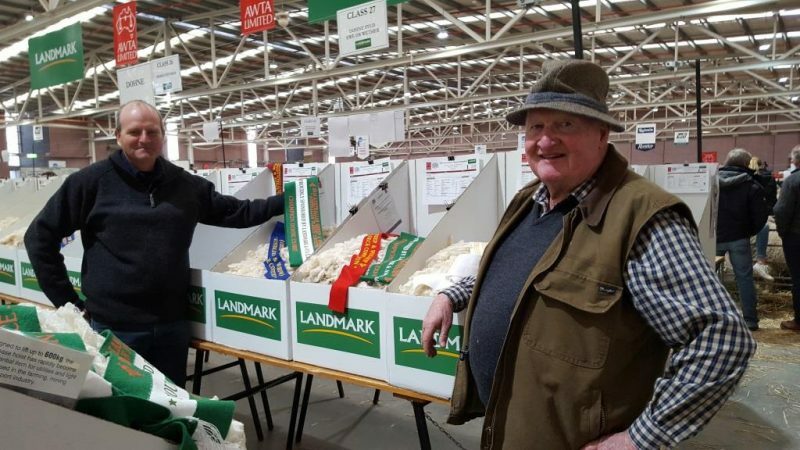 Guess the average weight of the trade Dohne lambs – (47.1kgs) – Congratulations to winner Peter Safstrom. 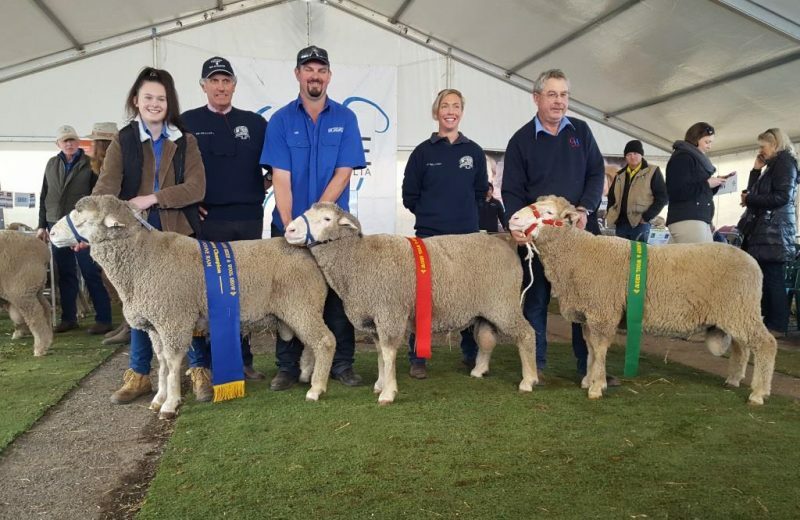 People choice award in selecting Champion Dohne ram and winner of the pair of Lizard woollen moleskin jeans – Congratulations to Winner Carmel Wilson. Thank-you to our sponsors Lizard Moleskin Jeans and AWI. 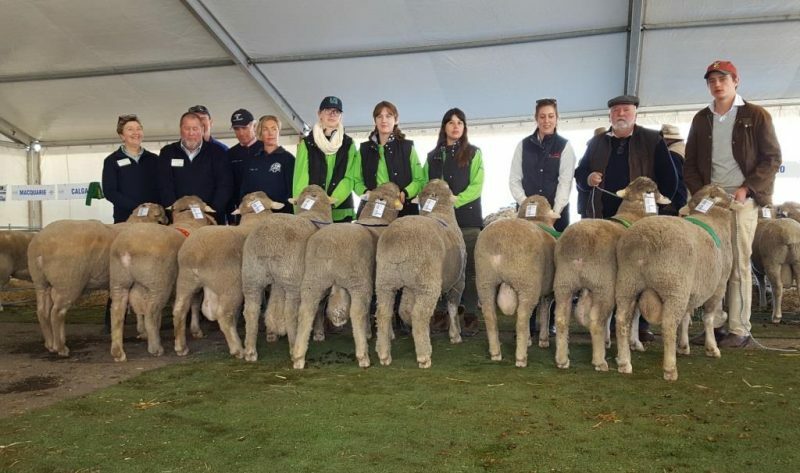 On Sunday there was a Dohne trade lambs auction, proudly donated by Alistair Greenshields, Glenaroua Dohne Stud, Victoria. The winning bidder was Colin McKenna, Midfield Meats. 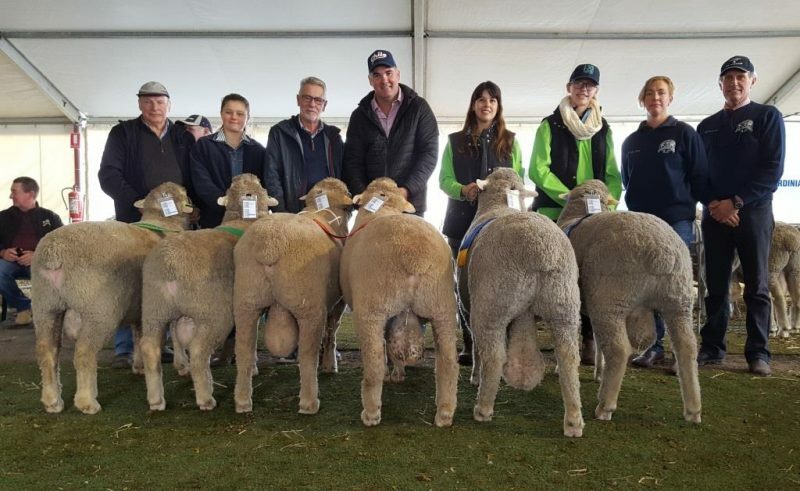 The Dohne lambs sold for $400 per head. A big thank-you to the McKenna Family for their donation and for the Landmark team for being our Auctioneers on the day. All sale proceeds donated to the Lyme Disease Association. Greg Hall, Macquarie – Peter and John Nadin, Stirling – Murray Rogerson, Kardinia – Don Mills, Glenaroua – Alistair Greenshields. 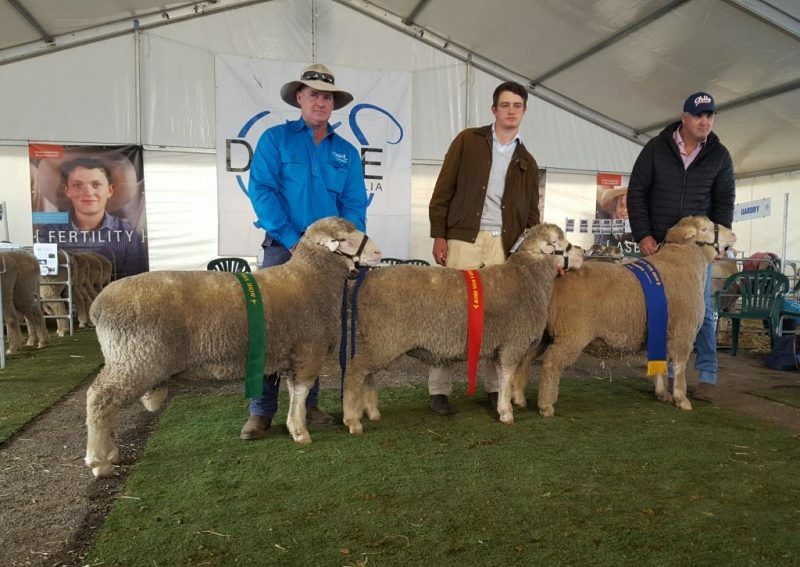 Congratulations to Calga Dohne Stud for taking out Champion and Reserve Champion for the Dohne Fleeces. 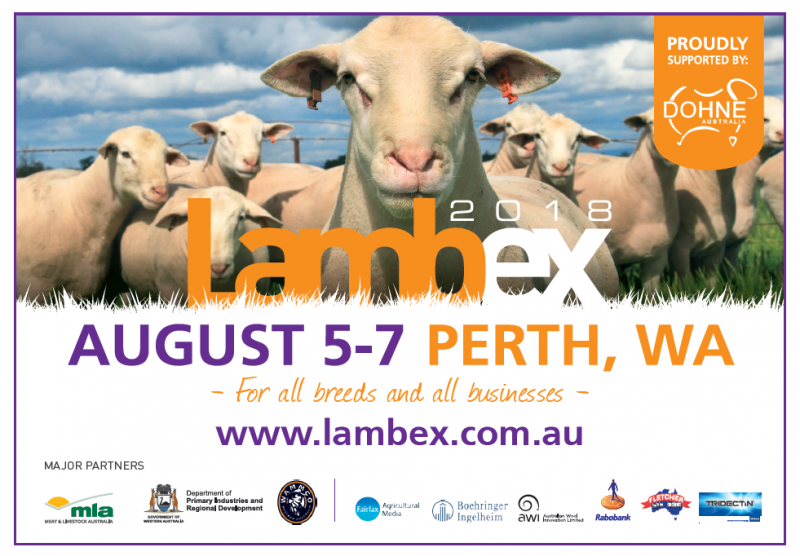 Western Australian studs Chirniminup, Far Valley, Kintail Park and Mollerin Rock will be on site for LambEx 2018 at the Perth Convention Centre August 5th to 7th. With combined sites, along with the ADBA Business Hub and Muresk right next to them, it stands to be an impressive display. If you’re attending LambEx, be sure to stop by. Your sale event will then be promoted on the ADBA website and Facebook. Paid advertising on the ADBA website. 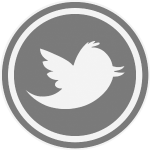 Provide your own GIF advert or we can design one for you.